The only evacuation equipment approved by London Fire Brigade Enterprises is now available from a distributor near you. There is a common misunderstanding that it is the responsibility of the emergency services to ensure everyone evacuates from a building safely, it is not! 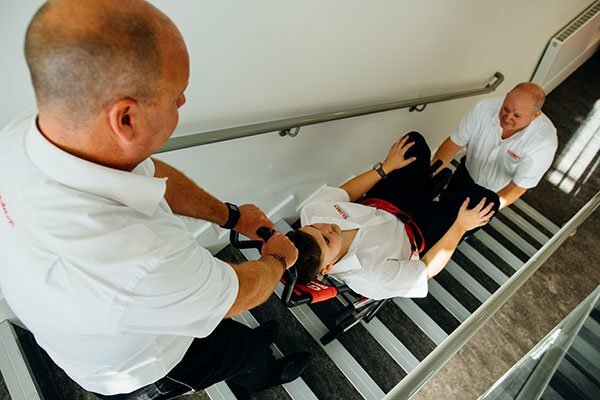 In the UK and many other countries there is a legal requirement for employers, service providers and building owners to ensure the safe evacuation of mobility impaired persons in the event of an emergency. Anyone permitted into a building must be safely evacuated in the event of an emergency without the dependence of the emergency services. GLOBEX Evacuation Solutions provide simple solution to ensure the safe evacuation of mobility impaired persons up or down stairs when lifts can not be used in the event of an emergency, power failure or during lift maintenance. Our range of products can also be used as transportation chairs for medical purposes and also used for domestic properties. Simply purchasing equipment does not mean compliance or people are safe. It is essential there are suitable and sufficient procedures in place, trained operators and equipment is maintained. We provide a complete support service to assist with compliance, including certificated training and maintenance on our own equipment and all other makes of evacuation equipment. Our compliance packages provide peace of mind for clients and for new evacuation chairs they can also extend product warranty. We operate on an international basis supplying high quality easy to operate evacuation products directly to end-users and through our network of approved distributors. Our aim is to raise awareness of the need for suitable and sufficient procedures and equipment to ensure the safe evacuation of all users of buildings and make GLOBEX an internationally recognised brand associated with high quality easy to operate products together with first class support service. Our Head Office and main distribution centre is located in Hertfordshire and we have network of approved overseas distributors. 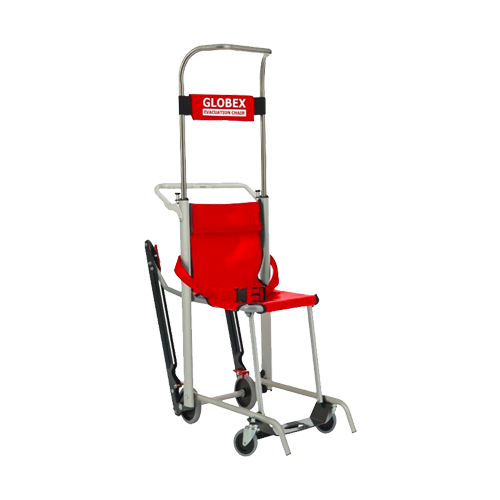 The GLOBEX MULTI enables one person to evacuate a physically impaired person safely and easily down stairs and for two people to carry one person upstairs and over obstructions. Suitable for downstairs, upstairs and wheel chair transportation. It is simple to operate, fixed wheel operation for internal and external use and a unique anti-tip feature and carry facility. Comes complete with instructions, a free dust cover, wall mounting bracket and a five year warranty (excludes wear and tear) that can be extended with a GLOBEX Compliance Package. The GLOBEX ECONOMY provides a solution for evacuating people down stairs only and can also be used as a transportation chair. This model operates in a similar way to other popular manufacturers. The chair comes complete with instructions, a free dust cover, wall mounting brackets and a five year warranty (excludes wear and tear) that can be extended with a GLOBEX Compliance Package. 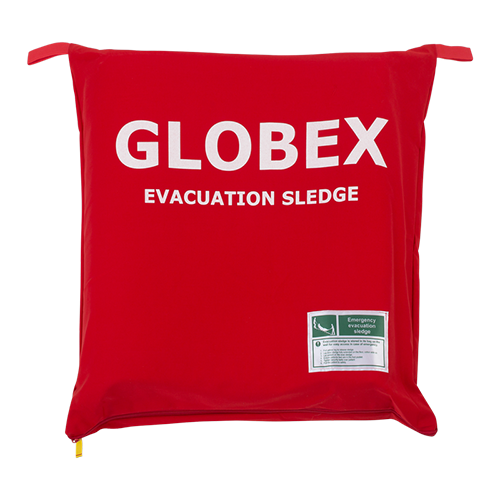 The GLOBEX Evacuation Sledge enables two people to evacuate a physically impaired person safely and easily down stairs in the event of an emergency or when lifts can not be used. 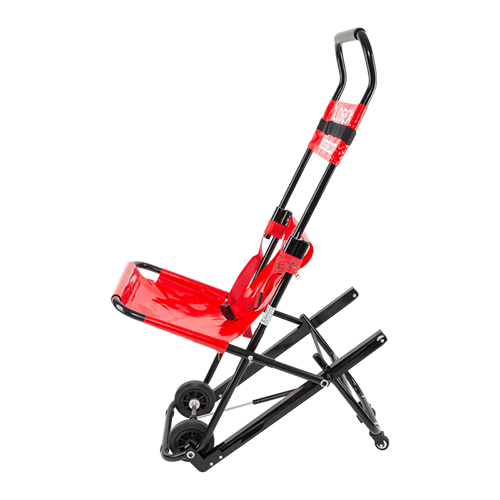 Ideal for care homes and where people are unable to use evacuation chairs.